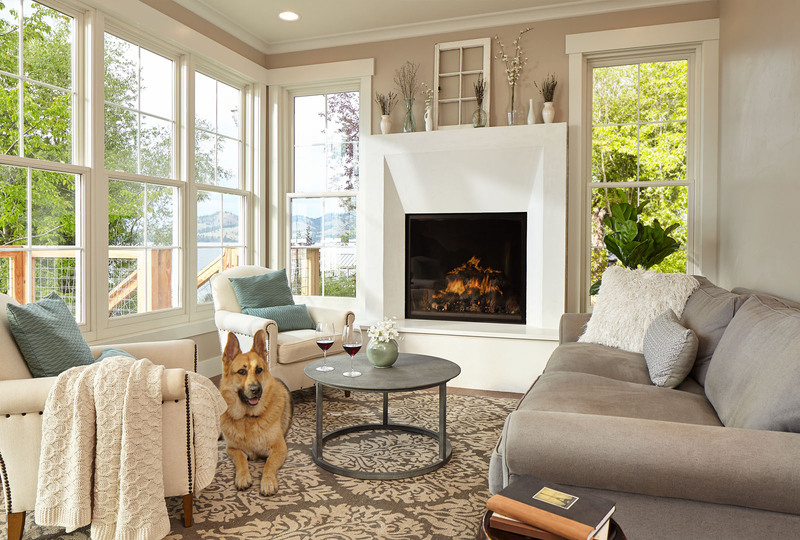 “They transformed my humble vision of a small cabin remodel into this dream of a sophisticated cottage,” says homeowner Emily Hall. 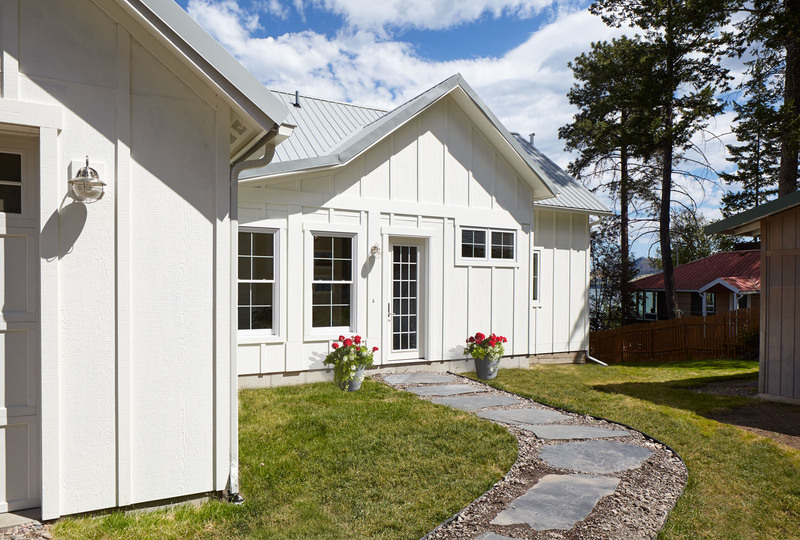 MMW worked closely with Emily to make the most of her limited budget for this charming cottage on Flathead Lake. 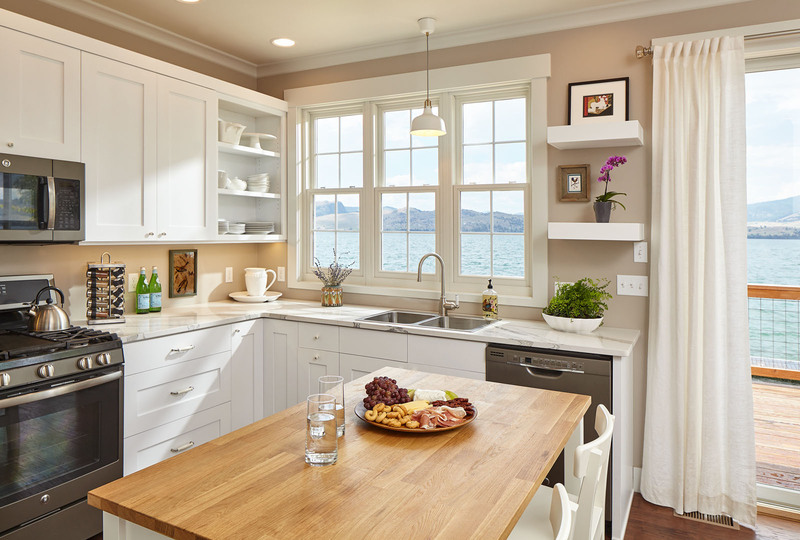 By making a few small, calculated moves, the spaces were opened up to take advantage of the outstanding lake views and light. 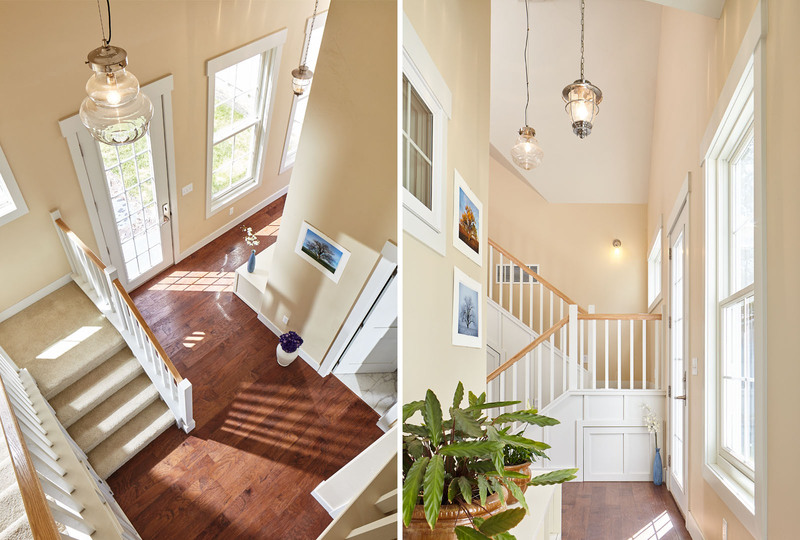 Adding a 20×5-foot section to the front of the home allowed for a new entry and facilitated moving the stair out of the cramped living room. This opened up the living room and kitchen and focused the living spaces outward toward the lake. 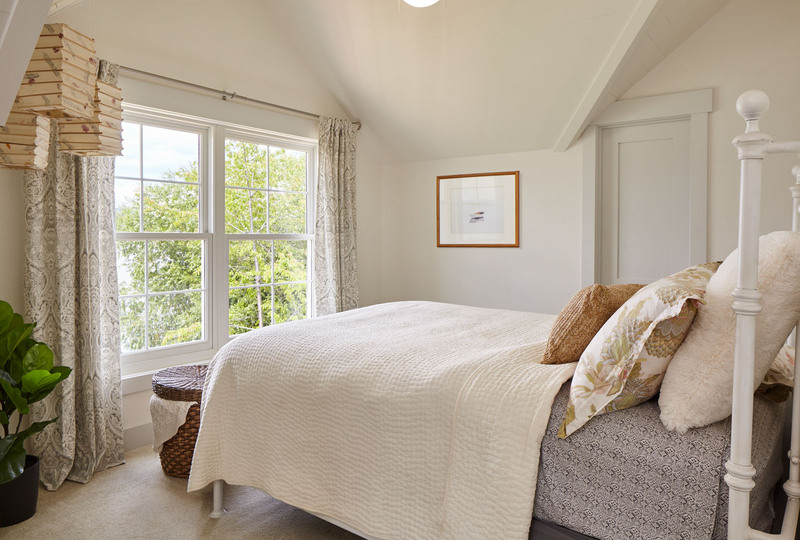 Upstairs, a dormer was added to the master bedroom adding an additional 300 square feet and another glimpse of the lake. Moving the detached garage to the opposite side of the cottage provided a layer of privacy from the neighboring home. The basement is accessed from the lake side of the home and is used for storage and mechanical equipment. “At no time did I think this remodel project would turn into my dream home, but now it’s so perfect that I don’t see myself ever moving,” Emily says. 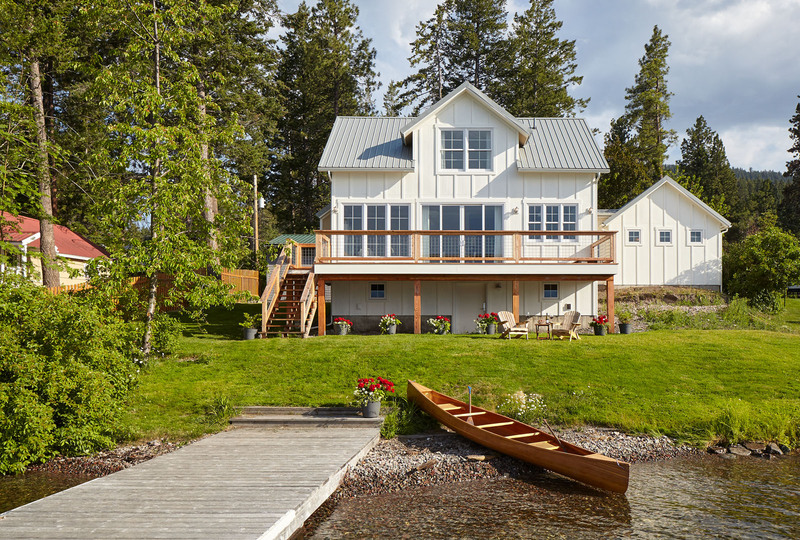 The Hall Cottage is certainly modest in scale, but the thoughtful sequence of spaces provides plenty of room for relaxing and enjoying the experience of Flathead Lake. The project is included in Hoffman Media’s Classic Cottages: A Collection of Welcoming Homes with Personal Charm, written by Cindy Smith Cooper.